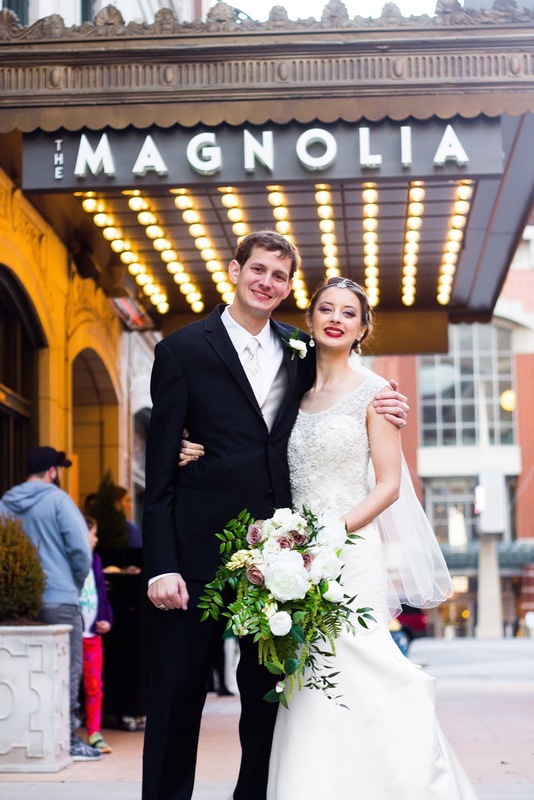 Ellie and Joe had a wonderful winter wedding. 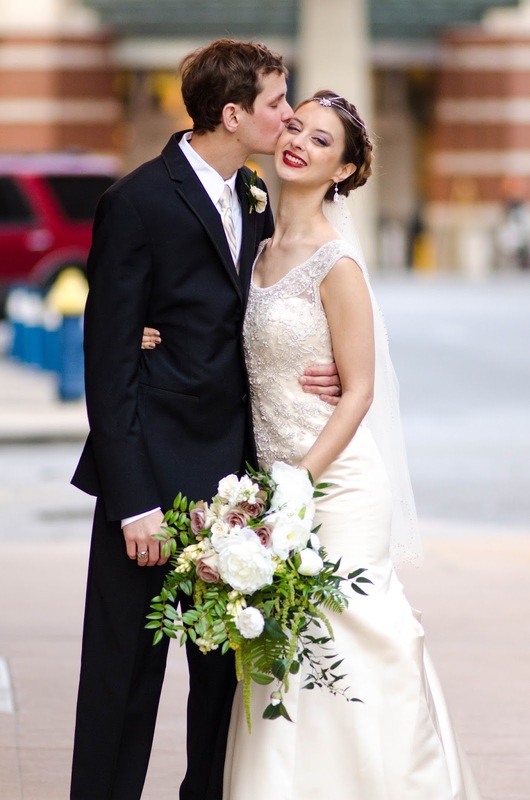 Ellie’s personal style and elegance were really something to behold- from her dress to her flowers. 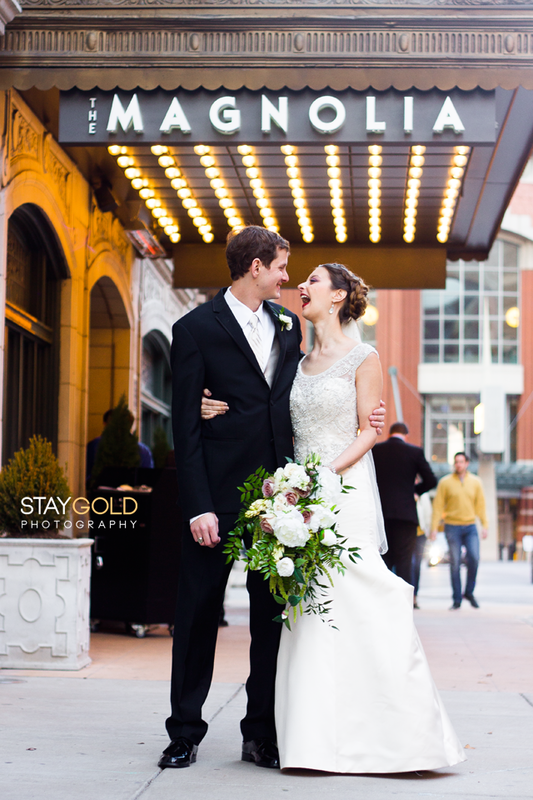 Here are some wonderful images from Stay Gold Photography. Ellie wanted an asymmetrical cascade bouquet, but something a little more modern. We used dusty lavender and ivory blooms to create this elegant draping bouquet for her. 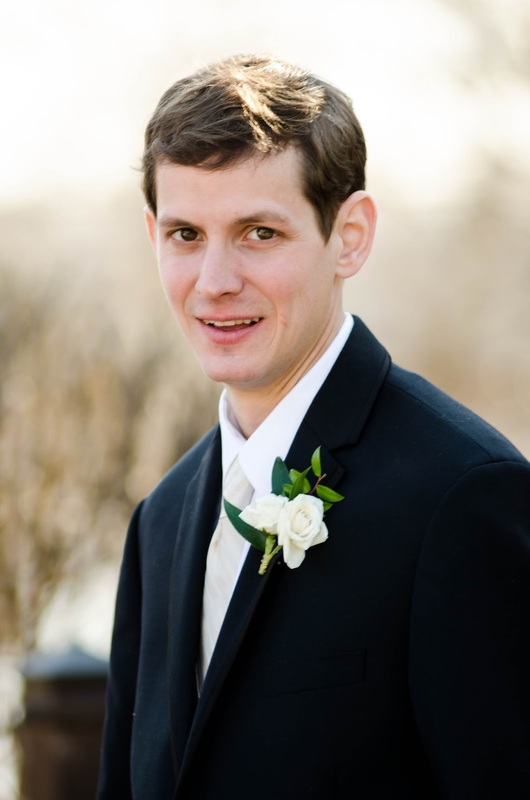 Joe rocked the classic look with an ivory spray rose boutonniere. 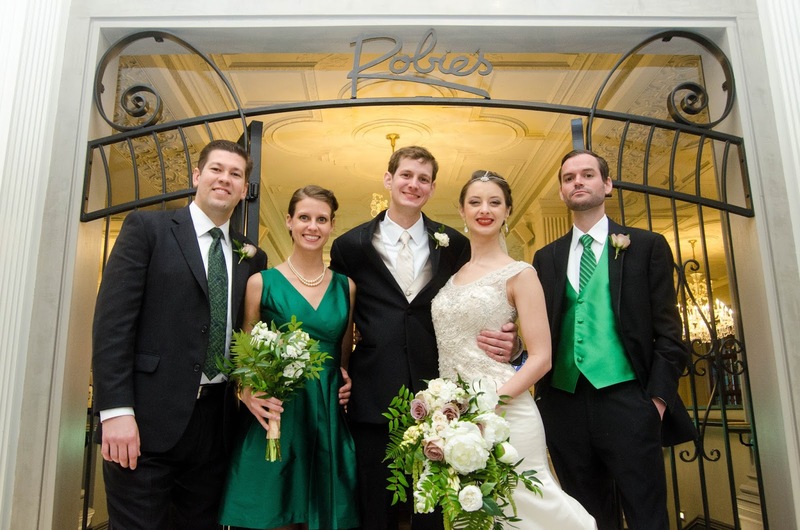 White and ivory flowers were suited for the rest of the wedding party who sported green as their color of the day. Best wishes to one of the cutest couples ever! !